Let's face it.. none of us have the time to sit around wishing, hoping and praying for perfect and spotless skin. 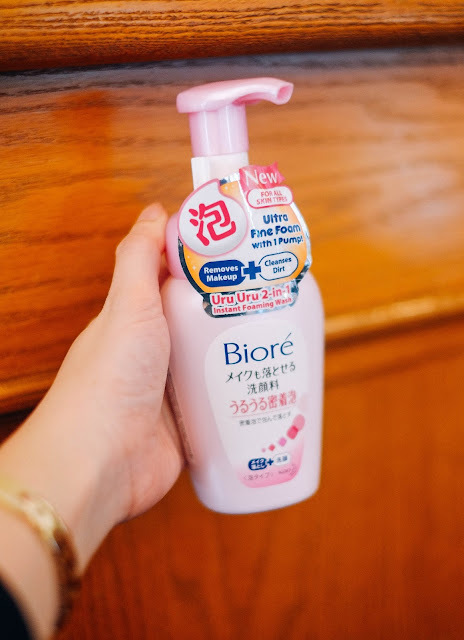 Instead of focusing on your imperfections, why not do something about it and ditch your boring facial wash and spice it up with Japan's #1 Make-up Remover brand, Biore! 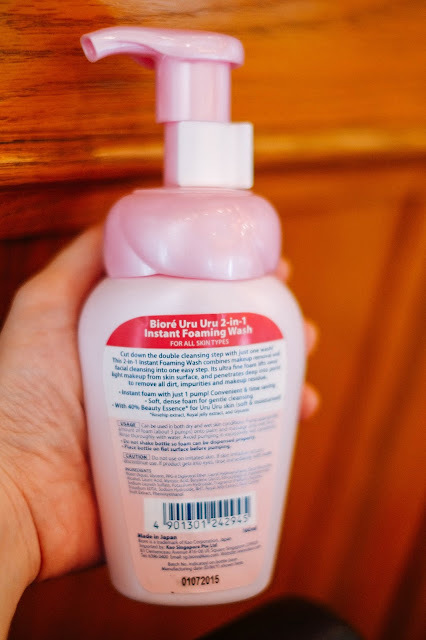 I'm a huge fan of Biore cleansers and I've been wanting to try Bioré Uru Uru 2-in-1 Instant Foaming Wash for quite some time. At first, I was skeptical towards it as I was afraid that the foam cleanser will dry up my skin, but to my surprise, it leaves a baby smooth feeling after using it and it brings the fluffiest foam ever. 1. I really like the delightfully rich foam texture, which is eight times denser than hand-lathered foam. Actually, it gives you the most gentle way of cleaning your face. This cleanser has a soft luscious foam that acts as a cushion against harsh rubbing. 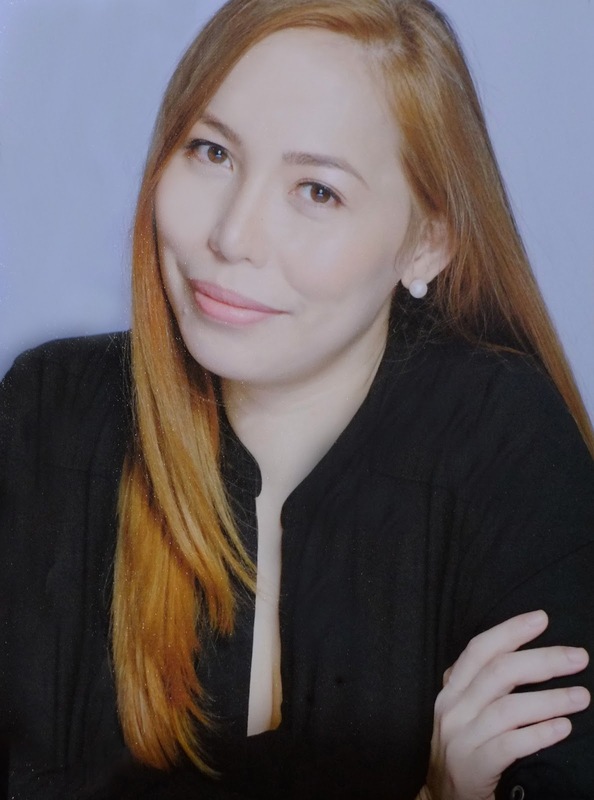 By minimizing the harsh pulling and tugging motion that occurs when our hands come into contact with skin during cleansing, it inhibits the early onset of wrinkles and fine lines. 2. No double cleanse! It takes off every bit of dirt, makeup, and grime from your face in just one wash. Actually, Biorè UruUru facial foam is for removal of light make-up only. If you wear waterproof or long wearing make-up, the Biorè Cleansing Oil is for you. Check out my blog post here. 3. "No fuss" leaves my skin the perfect feeling of clean and is never drying. It's refreshingly light that I actually enjoy using it to cleanse my face daily. 4. 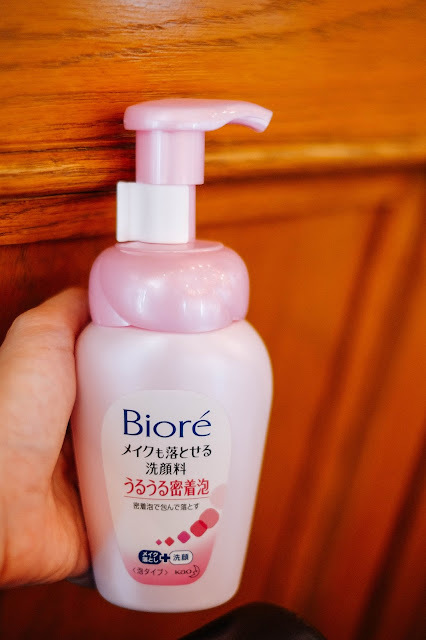 Besides leaving the skin fresh and clean, I love the nice rosy scent, one of the many reasons why like Biore cleansers too! 5. It is infused with 40% Beauty Essence (containing Glycerin, Rosehip extract, Royal Jelly extract) to leave skin feeling clean, soft and moisturized after cleansing, with no feeling of tightness. 6. I love the packaging which comes in a simple white-and-pink pump bottle, plus a stopper. It makes my daily cleansing regime just as quick and effortless. Now, you can replace the monotony of a two-step cleansing routine ( makeup remover followed by facial wash) with the ultimate convenience offered by Bioré's new Uru Uru 2-in-1 Instant Foaming Wash, without compromising on a thorough, effective cleanse. So if you are looking for foaming cleanser that is affordable and cleans well in just 1 wash, then the new Biore Uru Uru 2-in-1 Instant Foaming Wash will be the right choice for you. Oh, and prepare for compliments galore on your glowing, clear skin. Bioré Uru Uru 2-in-1 Instant Foaming Wash retails at Php299. 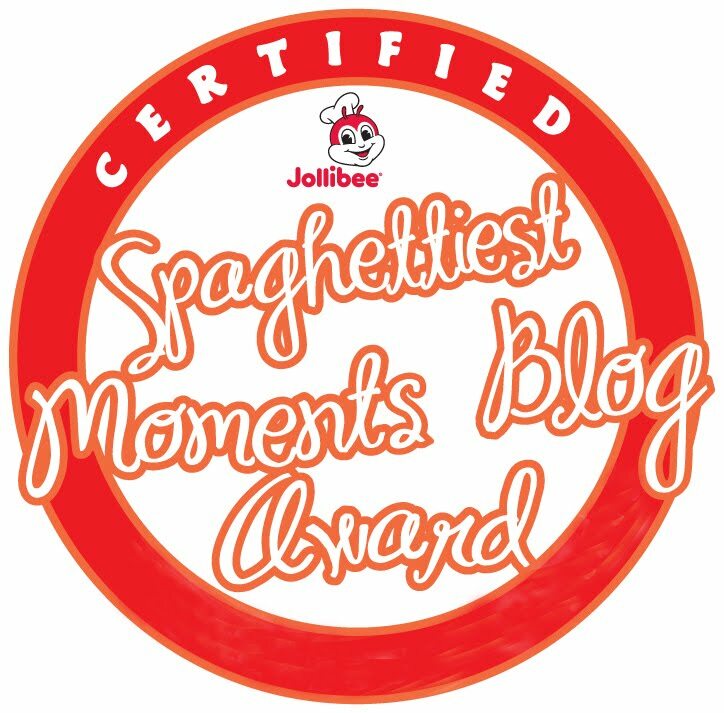 It is available in selected department stores and supermarkets in Metro Manila, Cebu, Davao and CDO. For more deets, visit Biore's Facebook page and follow on Twitter or Instagram; @bioreph.